Until last Friday, Labor’s Tim Murray was in with a good chance in next month’s Wentworth by-election. That was when independent candidate Kerryn Phelps announced she would “preference” Liberal Dave Sharma ahead of Murray. Murray’s hopes suddenly receded — though they have not quite disappeared. 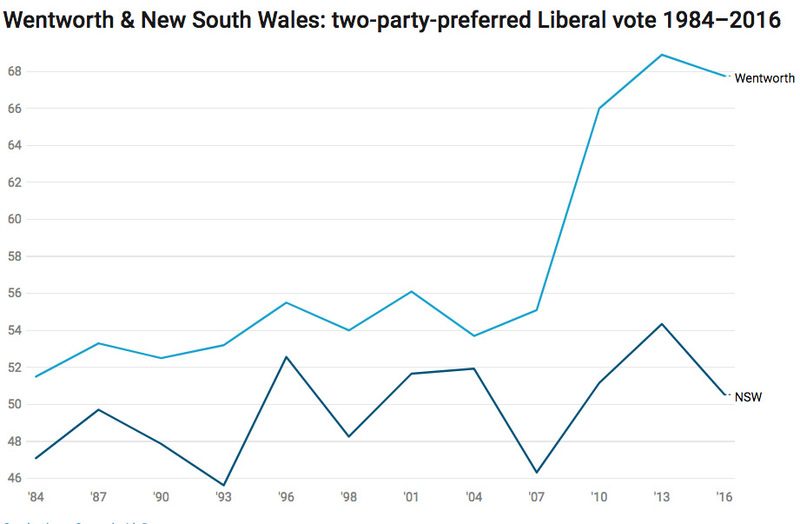 Unsurprisingly for a traditional Liberal seat, the Wentworth line has always been comfortably above the state line, but over the past decade the lines have diverged dramatically. Turnbull’s initial win in 2004 was dampened by the candidacy of the man he deposed, Peter King, who ran as an independent. At the following poll — Labor’s big 2007 victory under Kevin Rudd — Turnbull managed a small swing, against the tide, from his notional post-redistribution position. 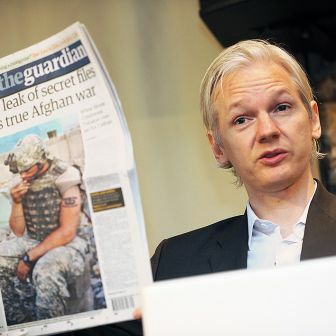 He survived with 53.8 per cent of the two-party-preferred vote. But in 2010 the Wentworth line leapt, and it hasn’t yet returned to earth. 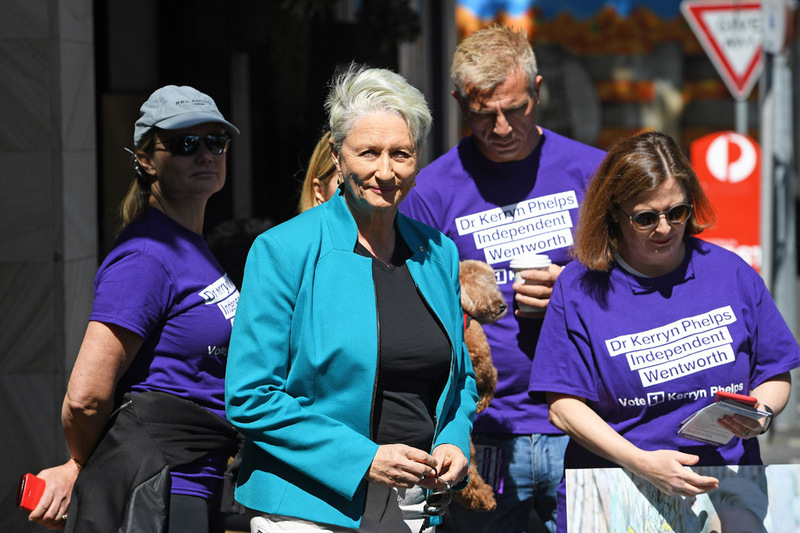 Since Turnbull’s arrival, redistributions have shifted Wentworth’s borders with two neighbouring divisions, Sydney and Kingsford-Smith, shaving an estimated net 1.8 per cent from his margin. 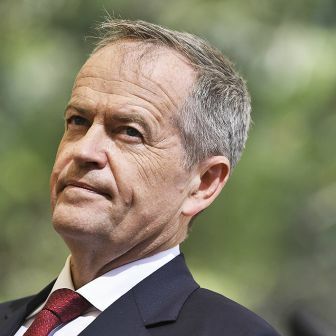 Over the full period since 1984, the seat has been redistributed towards Labor by an estimated 4.7 per cent. 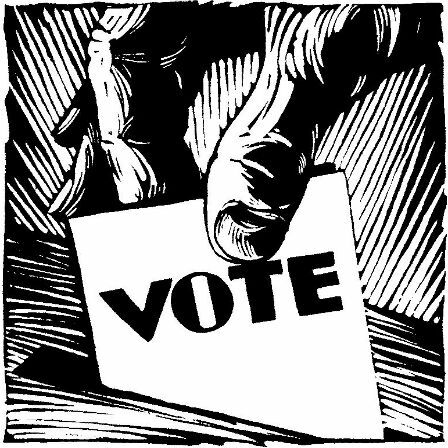 Notional post-redistribution calculations are imprecise exercises based on booth votes. For one thing, they don’t take personal votes into account. 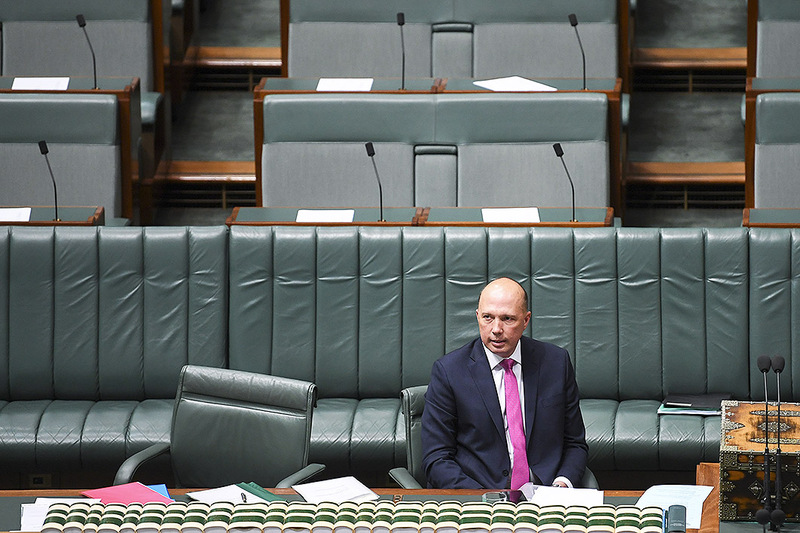 (For example, booths moved from neighbouring Sydney in 2005 would have had elevated Labor support because of the popularity of MP Tanya Plibersek.) And demographic changes — different types of voters moving in and out — alter electorates. It’s also possible that over the last ten years Wentworth has simply become more Liberal. But other measures, such as this one, lend support to the existence of a huge Malcolm Factor. Just like fourteen years ago, a strong independent is running next month. More importantly, though, it’s a by-election, which means that, with nothing as important as who forms government at stake, the result is unpredictable. But by-elections usually produce swings to oppositions. Wentworth without a sitting MP is quite ripe for the plucking either by Phelps or by Murray. Phelps’s campaign so far has appeared amateurish. At her first press conference she urged voters to put the Liberals last, which was extremely unwise; days later came a complete turnaround, which was possibly an overcorrection. (A split ticket, preferencing neither, might have been the best solution.) Some of her tweeting seems undisciplined. Less widely reported was her guarantee of supply and presumably confidence, which was tactically sound in a Liberal-leaning electorate. Wentworth voters will no doubt hear this again over the next four weeks. The outcome will depend, firstly, on where the candidates sit once all but the top three have been eliminated. The third-highest will then be eliminated and his or her preferences distributed. Phelps’s dream path would involve Sharma being third place-getter, in which case she would trounce Murray because Liberal preferences would overwhelmingly flow to her (though see final lines, below). 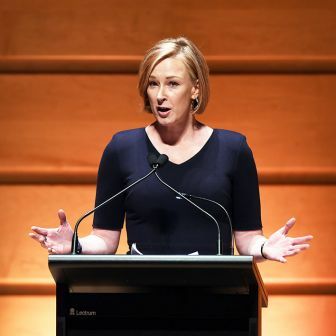 In a Phelps–Sharma contest, she would receive the bulk of Labor’s preferences, which might or might not be enough to get her over the line. But for Murray to have a chance of winning, he needs to beat the independent into the final count and then receive enough of her preferences to defeat Sharma. That’s why Phelps’s how-to-vote card decision was important. Her preferences (if distributed) will likely favour Murray over Sharma regardless, but not as strongly as if she’d run a split ticket or if her cards were recommending Murray. Exactly how powerful Phelps’s cards will be depends partly on the number of volunteers she has on the ground to thrust the things into voters’ hands. If she receives, say, 30 per cent of the primary vote and ends up in third place, her cards would likely make a difference of at least a few per cent of the two-party-preferred vote. 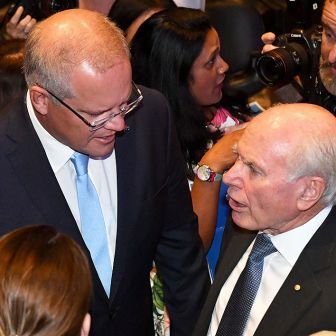 Another possible consideration for both Labor and Liberal is that if Murray, against the odds, does take Wentworth, it will probably return to the Liberals at the next general election. A victorious Phelps, on the other hand, would have a much better chance of retaining it. That might be a reason for Labor to run dead, although what would be the fun in that? We could also, conceivably, see the Liberals preference Murray over Phelps with an eye on the next general election, which would deplete the expected flow to her.